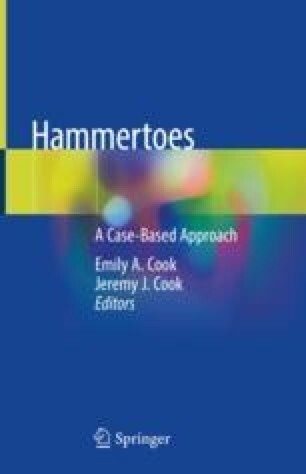 Hammertoe is a very common lesser toe deformity and accounts for 34% of all foot and ankle conditions in older adults . Classically hammertoe surgery includes resection of the proximal interphalangeal joint . Coughlin and others have shown that either a rigid or fibrous union does not have an effect on clinical outcome . Many different fixation techniques are available ranging from a simple Kirschner wire to a wide variety of implants.